Struggling with the first sector. Can't get the car to not feel snappy. Can't imagine how bad it will be following someone. I won't be able to attend the race, will be moving to Austria the next day, wheel and computer already in the box ^^. Have fun all ! Any of the reserves is available? Yeah, I'm up for it, being a backmarker! Having vacation days so no work is getting in my way this time around! Im afraid im not avalible for this one.. but go team not so serious..
Could someone else using VR do a full grid race start test @COTA in the proper race conditions and let me know how big a hit on FPS they're getting please. I'm having a nightmare with it at the moment, once traffic thins out it's fine but the start is like stop motion. I might need to roll back to the Rift for this one. 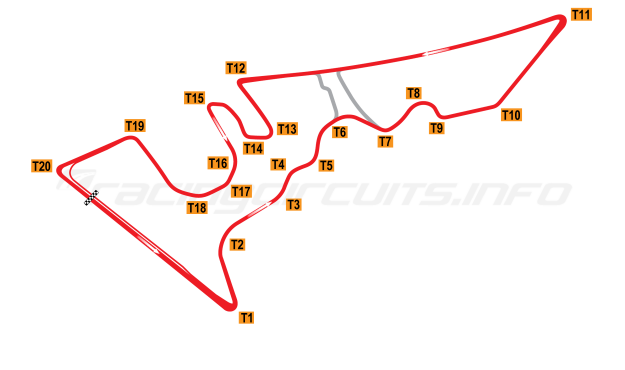 For me it is the first time I ever drive on COTA, so anybody got some tips for me? Track time You need to find the flow in the first sector to reduce the energy put into the tires and keep the car smooth and steady. And don't even look at the curbs in the Esses. Sometimes with a certain angle you can attack them, but most of the time they just make the rear unstable. The rest is just finding braking points which is rather difficult because the track is so wide. In some corners more than one line is possible, maybe look at some onboards of F1 or Indycar to get an idea. Not the 5k+ it’s the 8k and its an absolute beast but software needs work...I’m using normal FOV which is a big step up from the rift. My CPU is taking the hammering, GPU is rarely going above 70%. Ah the 8k then it's cool Hmm CPU... maybe reduce particles or switch them off? Sadly you can't change the number of rendered cars in pc2. That would help. Can't really think of anything else to reduce the CPU load. Does anyone else have issues with the LMP3 Ginetta in the first sector of COTA? It feels very snappy, especially towards the end of the first sector. I regularly lose it in turn 7. The car just seems to let go, does not like direction change... Or I'm just simply driving like a numpty. Any setup tips for this? I have no idea on how to approach this. Considering what happened at the previous race, I'm very scared of dirty air. Had two spins in the carousel. The cars problem is the rear giving in, the rear tires tend to run very hot. Main goal must be to get those temps down, i.e. with soft rear springs, dampers, toe, downforce to make it slide less. The front of the car easily overpowers the rear so you get a way with quite an understeery balance. THis all sounds like some good advice, something i need to try, i managed to get the car round the track last night but it became very frustrating very quickly. For me the car just loves to snap around, so will try those ideas. I have the same issue in my Vive. Sector 3 seems to be the worse, going around the big long connected right handers the FPS drops right down. Makes me feel sick. This is the first time I've VR'd in nighttime conditions.